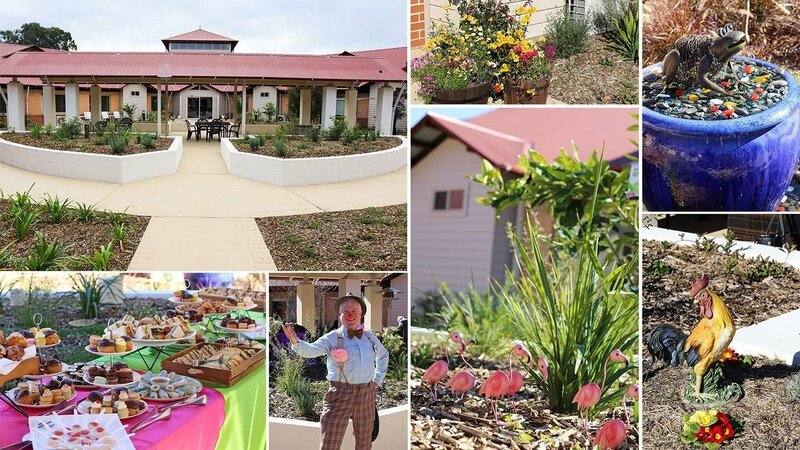 On the morning of Thursday 20 July, Bankstown City Aged Care unveiled their new sensory garden in Gillawarna Village, bringing light and colour to the lives of people living with dementia. Bankstown Sports Club donated $55,000 in funds through ClubGRANTS, to upgrade and refresh the outdoor space in the middle of the village, creating a beautifully manicured garden, bright flowers, a water feature, animal statues and a family-friendly environment. BCAC CEO Deborah Key says it’s made an enormous difference to the residents. “What I’ve found now is that people now want to come out here and spend time in the sun. Previously, it was a little bit dark and gloomy and not a very interesting place to be. But now there’s sometimes even a queue to come outside! It’s wonderful. It’s light and bright and airy, and is a really nice space for families to use”. Studies show people living with dementia benefit from staying close to nature and being surrounded by visually appealing and pleasantly-scented objects, which is exactly what the garden provides. Deborah says there are a couple of key areas that are proving to be quite popular. “The chickens (statues) have definitely been a big hit. The water feature is also quite popular; we see a lot of the residents standing and looking at the water. But I also think the seating in the middle of the garden where they can actually sit and look at everything is really important too. Those residents who can’t walk around the garden can still enjoy all of the features”. Members of Bankstown Sports Club’s Board of Directors and management team were on hand for the unveiling, and Chairman John Murray surprised BCAC with a $30,000 cheque for further upgrades of their facility. Deborah says she was absolutely stunned to be given the additional funds, and says they already have a few ideas about where the money could be spent. “We’re about to start a major renovation of our dementia unit so we will find something really, really special to put that money towards. It might be that we decorate the dining room or one of the common areas that all of our residents can use”.